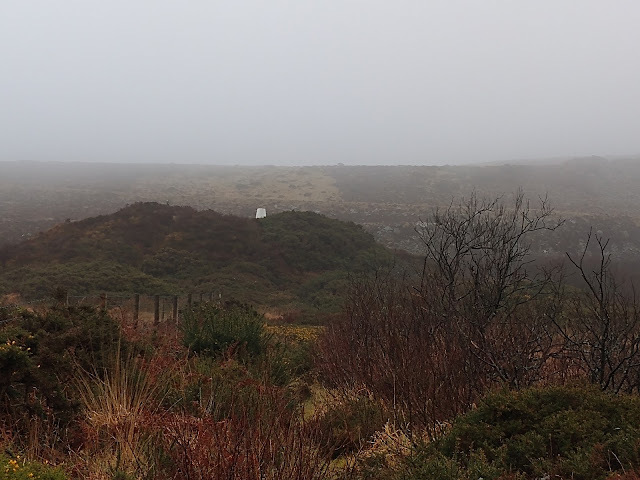 I was in Cardiff on business last week and this presented an opportunity for me to re-visit the newly positioned summit of G/DC-008 Hensbarrow Beacon, near St Austell, Cornwall. This meant driving 380 miles return from Cardiff via Bristol, where I met up with my friend Geoff Fielding M0PYG who lives near Malvern. 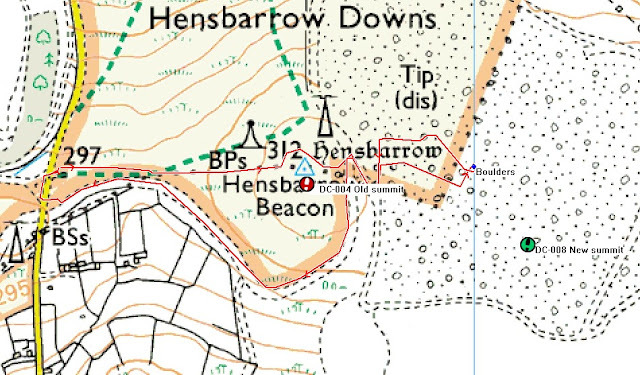 We were together the last time we activated Hensbarrow in 2014 for SOTA. That operation was from the trig point in a thunder and lightning storm, when Geoff got flashed with static, a quite frightening experience when green sparks were travelling from the shaft of his umbrella on to his hand! In 2014 on that same day we also activated Brown Willy near Jamaica Inn - but there was no point going there again today for the sake of a few points. 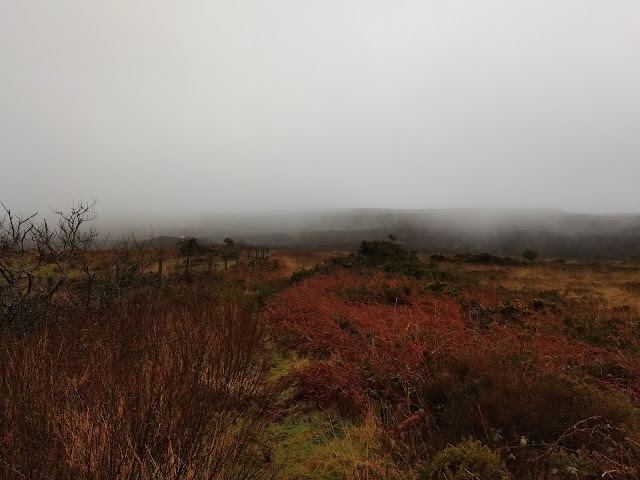 "Geographically, the hill is also the highest point of the St Austell Downs, a large region of downland to the north-west of St Austell. The large degree of separation between it and Bodmin Moor to the north-east gives it enough relative height to make it a natural Marilyn, although the official Marilyn has been moved to the top of the highest spoil tip. (its parent is Brown Willy)"
The reason I had to return to this God forsaken place was to set my station up among some rocks on the highest point on the spoil heap which was created by the Littlejohn / Gunheath China Clay Mining company and re-complete activating all 175 English summits. This is the Cornwall most visitors coming here never see - the exploitation of the land for minerals but of course Cornwall has has this exploitation for centuries. I met Geoff at Cribbs Causeway Retail Park, North Bristol at 8.00 am, and from there I drove us both down the M5 and A30 to reach a turn off at a new service area near Roche. The summit car parking place at SW 992575 is less than 4 miles from the A30 roundabout. The map above shows the path we took passing the original summit position. We saw a gap in the bank to the east of the trig and that led us on to the spoil heap access track and one on that it was an easy climb on to the top of the heap. 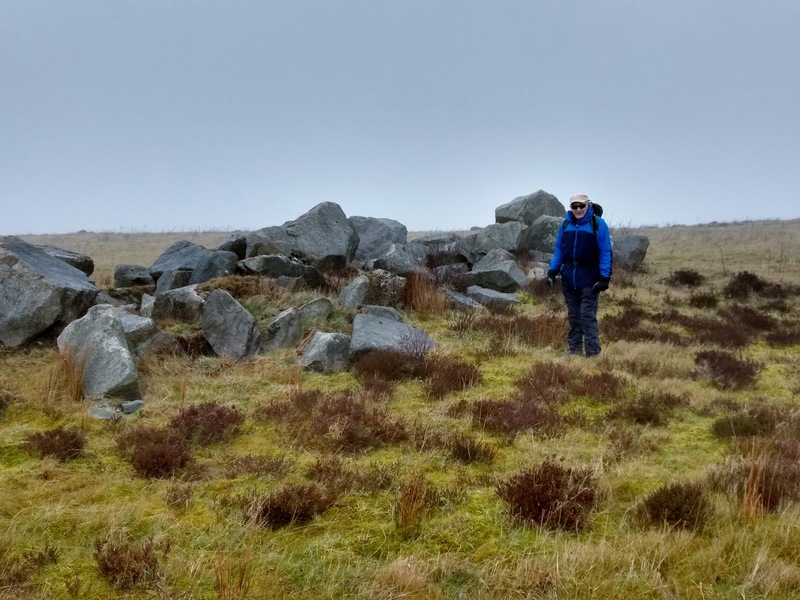 A pile of large stones marked "Boulders" on the map rovided some cover from the wind and the rain, when it came. Our return path follows the mine company's roads and no vehicles or persons were seen in the time we were there. A shout on 2m FM with a handheld and whip raised Don G0RQL in Holsworthy. 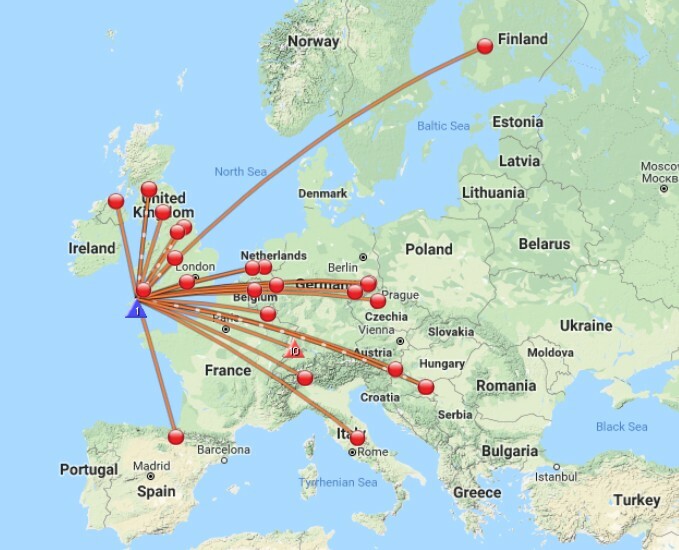 After that nothing else was heard, so we set up on 40m (7 MHz) for CW and SSB and made another 34 contacts between us. The rain came on half way through the HF operation so my golf umbrella was deployed to keep the rain off the FT-857 - 50 watts to a link dipole. We had some lunch at the services on the A30 before heading back to Bristol where Geoff had parked his car. 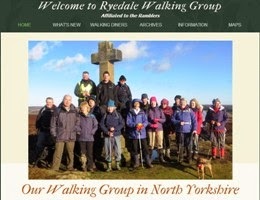 Keen outdoor enthusiast enjoying walking, cycling, travelling, music and theatre. I have enjoyed amateur radio as a sedentary hobby since 1968 but for the last 14 years I have also been climbing hills and mountains worldwide to set up my Ham Radio station to use Telegraphy (Morse Code), data and voice communications from the summits. I started out as a short wave listener in 1968, and got my UK Home Office transmitting licence in 1982. The links below go to summits I have visited and activated for Summits On The Air (SOTA) since 2005. I try to report on every summit I visit. I am a retired Communications Specialist living in North Yorkshire since 1993 and served as a Magistrate in the county from 2005 to 2018. Catterblog - all rights reserved. Simple theme. Powered by Blogger.